Introducing the new generation of lightweight premium multifunctional child carriers. 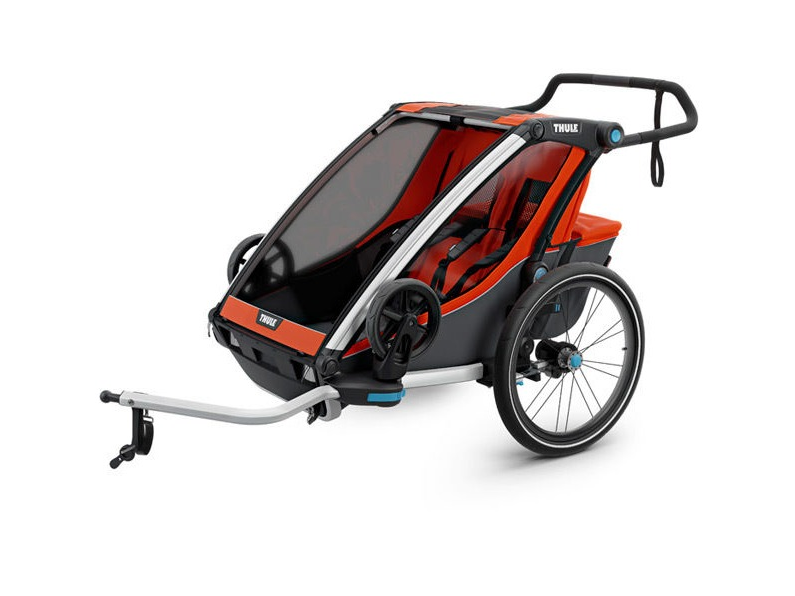 Ride, Jog, Stroll, Ski, the Chariot Cross switches effortlessly between these 4 functions and excels at all of them, making it the perfect partner for active parents. Cycle and strolling kits are included as standard allowing you to get rolling straight out of the box, kits store on the carrier when not in use, allowing you to easily switch between functions during an outing. Your children's safety and comfort is key, padded, reclining seats, five-point harnesses and highly adjustable cover keeps them protected from wind, rain, sun and insects.